The Freedom Model System at the Freedom Model Retreats combines an educational curriculum with experiential learning in a supportive and nurturing environment that is specifically set up to encourage and assist our guests in achieving their goals. The Freedom Model for Addictions is a comprehensive curriculum that provides a completely new way of thinking about addiction that is fully research-based, and that shows people exactly how they can solve their substance use problems once and for all. The Retreat environment provides the opportunity for guests to have private discussions and personalized assistance with caring professionals as often as they want and feel they need. Our certified Freedom Model Presenters conduct formal classes with just 1-3 people in each class, and guide our guests through the Freedom Model curriculum in both lecture and discussion style classes. Retreat guests also have independent work to do that is designed to help them to apply The Freedom Model to their own lives and begin to assess their problems, learn the reasons behind their struggles and find solutions based on what they've learned. At the core of The Freedom Model are three human attributes that free people from the addiction, treatment and recovery trap. They are: Free Will, the Positive Drive Principle, and Personal Autonomy. All of these attributes are internal, mental attributes. They are products of your mind and your thoughts. The Freedom Model shows you how to utilize these innate human attributes to affect changes that you desire. With the knowledge of your natural attributes you can choose to either see yourself as "addicted" and hobbled by substances and their use, or you can free yourself completely by seeing yourself as a proactive self-changer who has the capacity to choose to move past addiction and endless recovery to a free state of mind and emotions. 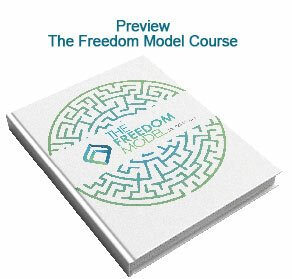 The Freedom Model addresses more than just the challenges of addiction on a personal level. It is constantly raising questions about the misleading American addiction culture as a whole and the harm it has done and continues to do. We call this culture of misinformed and often dangerous addiction mythology, the Recovery Society. The Recovery Society includes treatment, recovery, 12 Step dogma, and any method that attempts to stave off addiction through some external means such as therapy, rehab, support meetings, etc. In contrast to the Recovery Society, The Freedom Model works internally within you - so you ALWAYS HAVE CONTROL. The Freedom Model is also focused on motivating you to move past addiction toward a positive future, rather than living in constant fear of substances and relapse and feeling deprived of your wants and desires. Positive Drive Principle (PDP) - the natural drive toward happiness that is the primary motivator behind all human behavior. People engage in activities and make choices based on what they believe will make them personally happier at any given moment of time. Free Will - the unique human ability to choose your thoughts and your actions. All behavior is chosen. Autonomy - the independent nature of the human mind. It is why we can't be forced to think or feel (emotionally) in any particular way by any one or thing outside of ourselves. It is also why personal change is a personal choice; we choose to think, and we choose what to think, which in turn directs our actions. At our retreats, we present a learning experience with information and exercises that provide a proactive way to tap into these attributes as powerful tools for personal change. With The Freedom Model, you are already fully capable of solving your problems. Think about that. Does any methodology within the Recovery Society assume you have decision making power and that you will make the correct choice for yourself? Recovery Society charades are dominated with the idea that someone else can force you to change thus saving you from yourself. Judgments of what choices you "should" or "shouldn't" make are avoided at the retreats, and are left up to each individual. The Freedom Model focuses on providing factual information and solid self-evident theory in every experience and exercise. You can then apply what you're learning to make the choices that will serve you best, according to your own preferences and judgment. As a Freedom Model participant, your role is easy to follow: do your best to grasp and consider the information and theories presented and then choose to apply those lessons or not, whatever suits your needs best. As you challenge the habits of thought and action that have left you troubled, depressed, anxious, confused, and frustrated you will become more active and motivated to positively and confidently change them. If you decide to stick with fear and external control based methods that are promoted in 12 step ideology, treatment ideology and the recovery community, you'll miss out on what can be gained by understanding The Freedom Model. Being trapped in addiction and recovery means you have a fundamental lack of mental and emotional freedom. It is that horrible feeling that you are stuck and unable to change. It is a mental cage, a boxed mindset, a fearful belief that something else controls your mind and your body. There is a new choice you can make, and that new choice is freedom; the undoing of those misinformed mental, emotional and physical shackles. Most of what we address throughout The Freedom Model deals with how and why people believe and think the way they do, and how that affects their lives. If you want to be free, truly free, then The Freedom Model is the right fit for you. If you want to hang onto a victim mentality, to continue to identify as an addict, and go to recovery meetings and live the addiction and recovery lifestyle, then it's not. Our goal is simple - clear away the misinformation so you can see just how powerful you are and always have been. As The Freedom Model clears away the myths and misinformation, an intuitive understanding of your inherent ability to create and direct the course of your own life will become the core of your power. It's a wonderful thing to know you no longer have to live in fear, shame and remorse. You can move on and be free! You can change all your troubling emotional and behavioral patterns - even those that may have felt out of your own control. You can be happy, fulfilled, and energized. You can grow out of the Recovery Society and into your own version of self-created happiness. To show exactly what addiction is and what it is not; and to explain why that is so important. To demonstrate how the reasons for their substance use are controlled by the individual, and, as such, the reasons can be separated from the substance use habit. For instance, a traumatic event in one's life does not have to lead to substance use. Separating life's stresses, difficulties, and traumas from the choice to use substances is an incredibly powerful aspect of The Freedom Model. As no one can ever be sheltered from stress, this separation empowers people who may have previously believed in that causal effect to work through and overcome natural life stressors and events while choosing not to get high or drunk. This unique aspect of The Freedom Model is found in no other program. This is one of the many reasons The Freedom Model is a more effective method than any program methodology in the world. To help individuals to identify the reasons they are using substances, and dispel the myths that their substance use is "caused" by "triggers", trauma, stress, and other factors outside themselves. To educate individuals on how to make lasting lifestyle changes through self-analysis, mindfulness and positive reinforcement, rather than through a counselor "telling the individual how they should behave", or through controlling, manipulative, and punitive approaches, common in counseling and therapeutic methods. To challenge the individual's perceived benefits of his/her substance use, and begin a discussion on the possibility of how they may be happier by making a change. 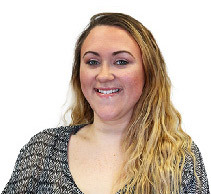 The primary objectives of The Freedom Model are to help our guests to examine their beliefs, thoughts, choices, motivations, and goals, and also debunk all of the addiction and recovery mythology so as to free themselves from the burdens of the Recovery Society rhetoric. The Freedom Model completely upends all addiction and recovery constructs, so the individual can grow past these self-limiting and damaging beliefs. The most well-kept secret in our society today is that based on the actual data most people stop their heavy substance use and move past addiction completely. You can too, and The Freedom Model will show you how.